The Opposition party leader’s comment was received by loud cheers by members of the BJP. Former Uttar Pradesh Chief Minister and Samajwadi Party leader Mulayam Singh Yadav on Tuesday said that he wished Narendra Modi returns to power after the General Elections this year. The Opposition party leader’s comment was received by loud cheers by members of the ruling Bharatiya Janata Party and has left his own party scrambling for excuses. Congress leader and United Progressive Alliance Chairperson Sonia Gandhi was sitting next to Mulayam Singh Yadav in the Lok Sabha. BJP members chanted “Jai Shri Ram” after the Samajwadi Party leader praised Modi. The prime minister acknowledged the veteran leader’s wishes with folded hands and mentioned Mulayam Singh Yadav’s “blessings” in his speech. “There is much to do. And Mulayam Singhji has given his blessings. I am very grateful to him,” Modi said. 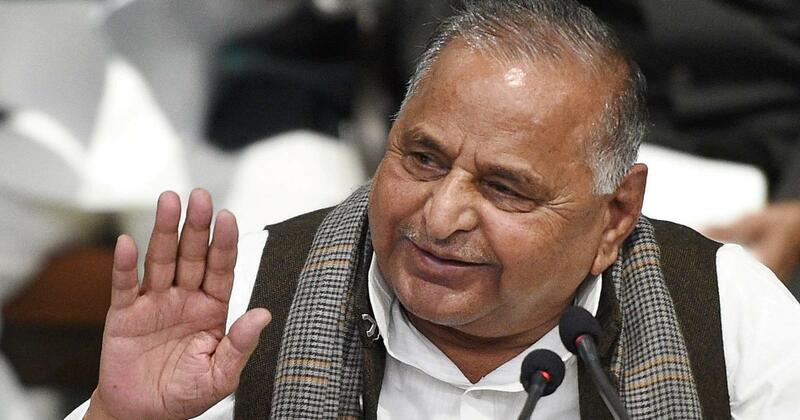 Mulayam Singh Yadav’s comments come at a time when his son Akhilesh Yadav, the Samajwadi Party chief and former chief minister of Uttar Pradesh, has supported Opposition leaders in forming an alliance to defeat Modi and the BJP in the Lok Sabha elections. Meanwhile, Congress President Rahul Gandhi said that while he disagrees with the Samajwadi Party leader, he respects his opinion. “Mulayam Singh Yadav has a role in politics and I respect his opinion,” Gandhi told reporters at a press conference.